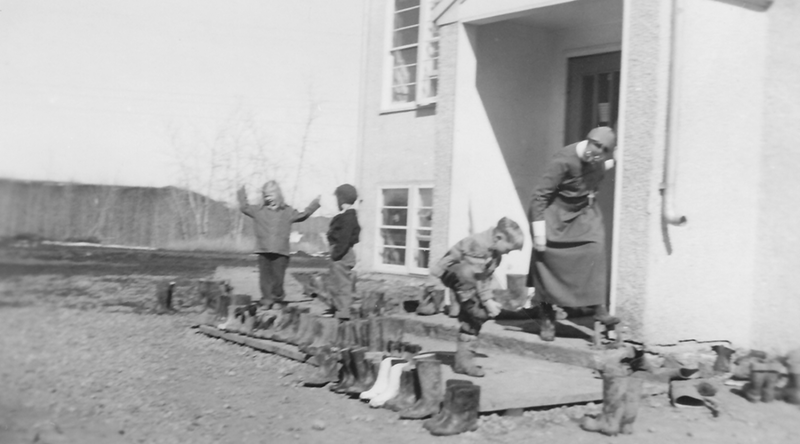 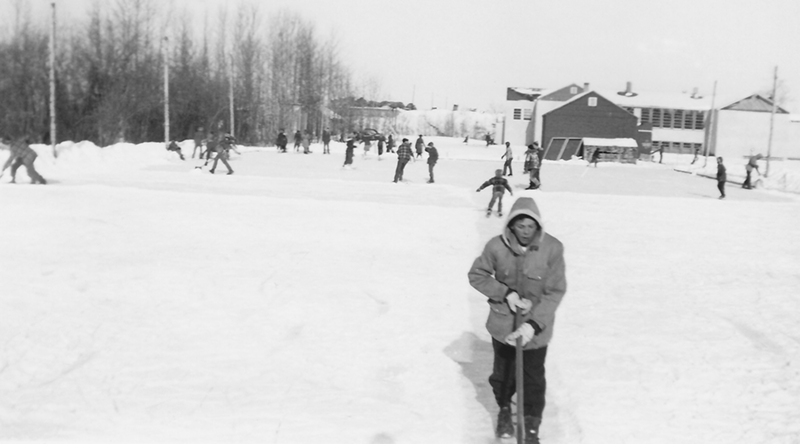 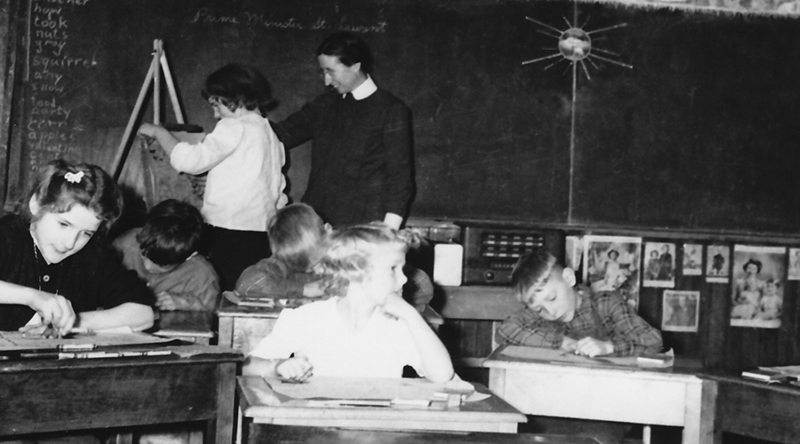 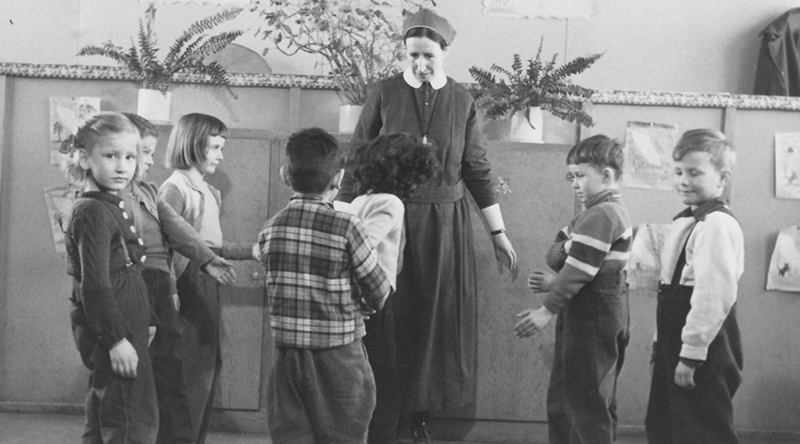 The teaching mission in this Northern Alberta community began when a new four-room Rosary School opened in 1952. 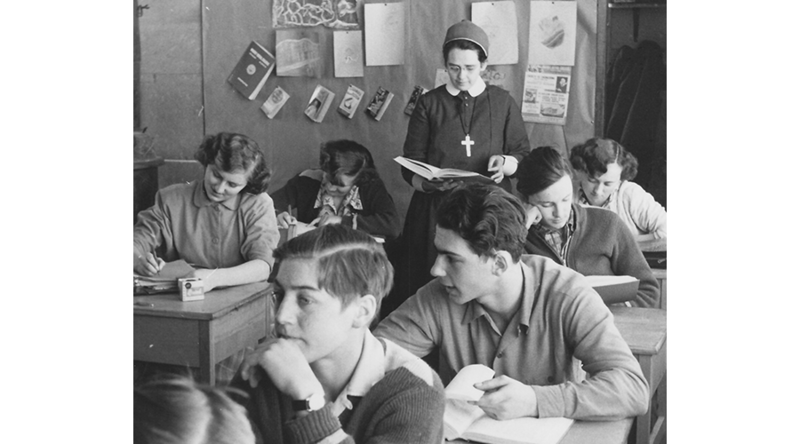 During the 28 years as a mission, 13 Sisters taught at the school, with three Sister teachers over the 1957-1969 period after the expansion of the school, including an auditorium. 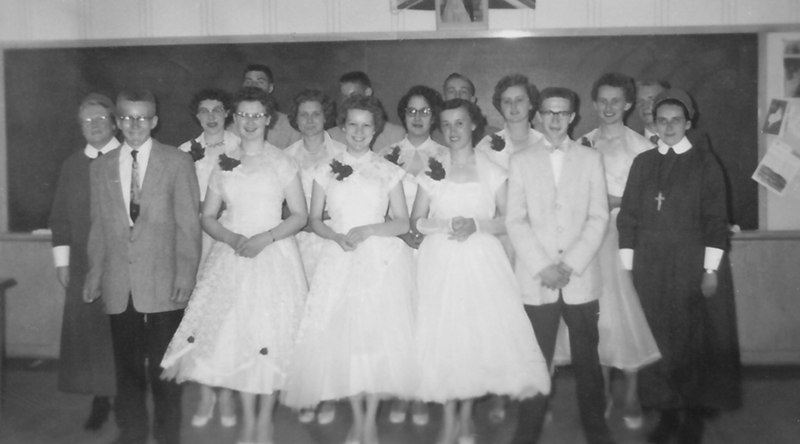 The first Grade 12 class graduated in 1958. 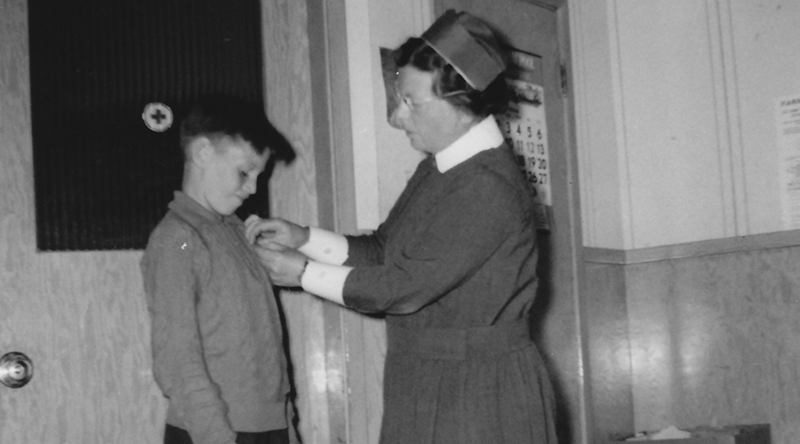 Two other aspects of the mission evolved when Sister Mary Harding worked as a nurses’ aide at the Manning Municipal Hospital (1970-1973). 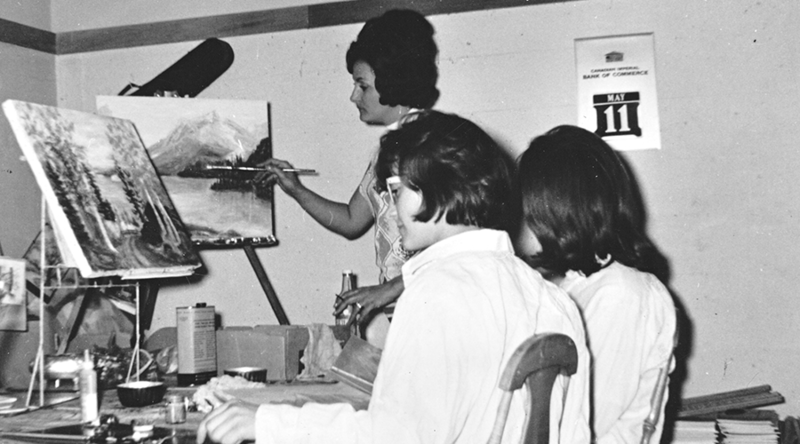 After Sister Anna Green, also an artist, arrived in 1961, the basement of the Sisters’ residence was converted into a studio, where she taught oil painting to interested local women. 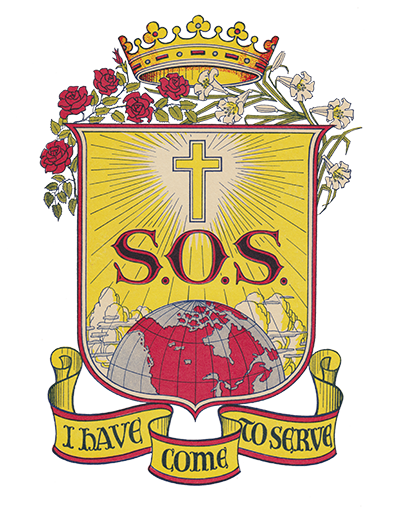 This artists group met until the mission closed in 1980.